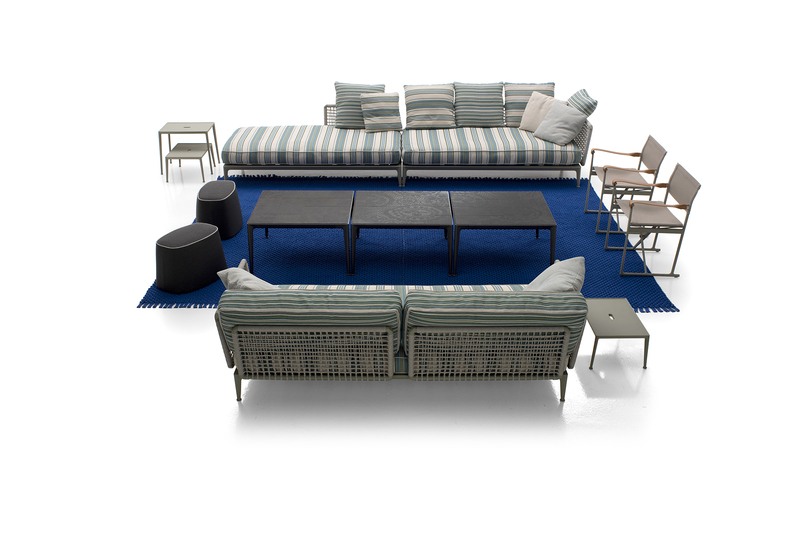 Featuring a textile design inspired by traditional South American fabrics, Ribes is a flexible new outdoor seating system that can be customized to different settings and tastes. The painted frames of sofas, central and end elements, including chaises longues and ottomans, come in a variety of shades: clay, sage and anthracite. Ribes fits covered outdoor areas flawlessly with its homely and soft look that bridges between the intimacy of the indoors and the liveliness of the outdoors.